31/10/2018 Sad Sid is a happy boy now that he has been adopted. 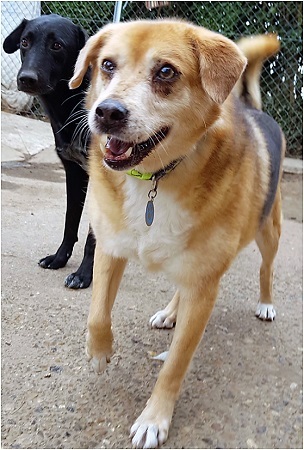 Sadly, Sid finds himself back looking for his quiet retirement home after being recently returned to Safe Rescue after being adopted a year ago. He did not get on with the owner’s new partner. 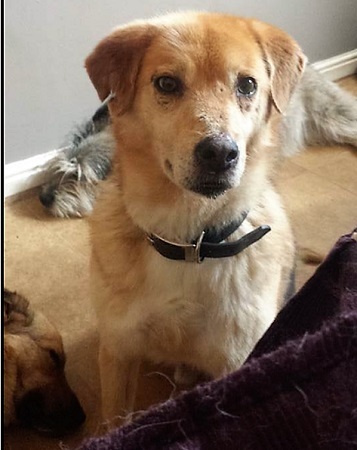 Sid is now being cared for in a foster home in Norfolk. 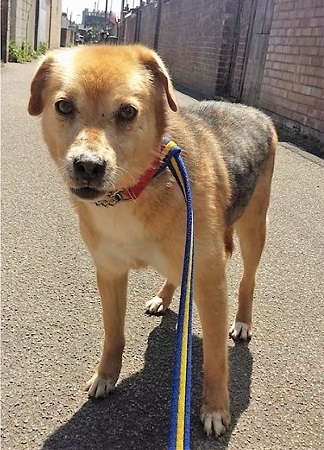 Sid is an 8 year old, medium-sized Crossbreed with German Shepherd colouring. Initially, he arrived in the U.K. from a dog rescue shelter in Romania as part of an incentive to provide a better future for dogs who have been overlooked there for years. Sid is a quiet and thoughtful chap who would love a peaceful life. He has been allowed to get overweight over the years and priority must be given to getting him back into a healthy shape in order for him to live a long and happy life as possible. Sid is currently living with children but they do not really fit into his idea of a quiet life but he would be fine with visiting children. He is living with another dog and a cat without any problems. 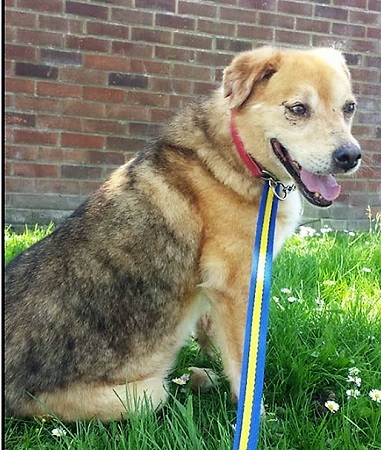 Please mention that you saw Sid on the Oldies Club website.